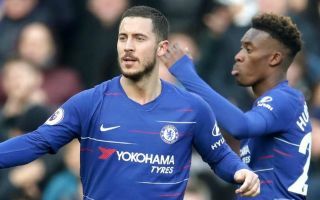 Manchester United are reportedly ready to try a transfer bid for unsettled Chelsea forward Callum Hudson-Odoi this summer. The 18-year-old looks one of the brightest prospects in the country at the moment, but has not been given a huge amount of playing time by Maurizio Sarri at Stamford Bridge this season. This could see Hudson-Odoi move on, with the Times claiming Man Utd are set to join Bayern Munich in trying their luck with an offer as the player himself feels even more determined to leave Chelsea following his debut with the senior England national team. It remains to be seen if the Red Devils can realistically persuade their rivals to sell them one of their best young players, but it does seem like their hand could be forced as he wants out. Still, Chelsea don’t need to sell while the England international remains under contract, even if means risking losing him on a free at the end of next season.